With a variety of interfaces, compatibility with your POS system is never an issue. Cash Drawers CR3000 Series More Images Unparalleled Reliability and Value Logic Controls cash drawers offer unparalleled reliability and value, with failure rates one-fifth that of other leading cash drawer vendors according to industry sources. With new patent-pending printer and solenoid burnout protection technology, the cash drawers reliability will be further enhanced significantly. 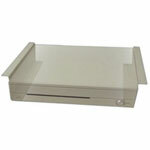 Best of all, these high quality cash drawers are available at prices that drive superior value. Compact, Efficient and Secure The CR3000 series of standard duty cash drawers is compact in size, enabling retailers to utilize scarce counter or shelf space for more important functions. The units make very efficient use of internal space, however, with the till being almost the same size as those found in larger drawers. The CR3000 series also comes with important security features: all metal construction, no exposed screws, and three position locks. Works with Any System Logic Controls cash drawers work will all major brands of POS printers and offers a wide selection of interfaces. CR3000 Series interfaces include printer driven, serial, USB, programmable parallel or serial, pass-through, and OPOS. 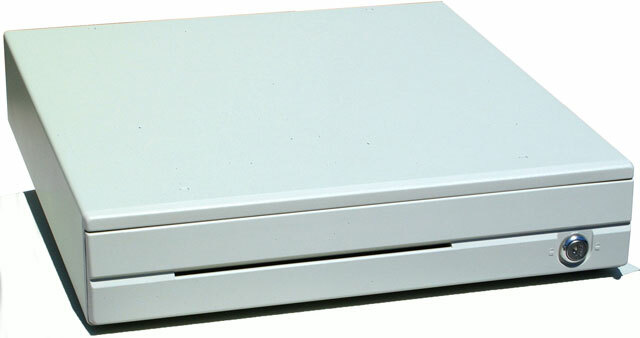 The CR3001, in fact, is a 4-in-1 multi-interface cash drawer with an I/O port expansion hub. 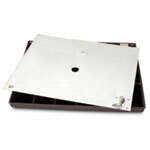 The serial and USB cash drawers are bus-powered, while CR3001 units come with either 120V or 220V power adapters.